Xigera Camp is a small camp on an island amidst flowing water channels in a private area of Moremi Game Reserve to the southwest of Chief’s Island. Xigera Camp is a small camp on an island amidst flowing water channels in a private area of Moremi Game Reserve to the southwest of Chief’s Island. The main area and all 10 raised guest tents have been designed to maximise the views of the floodplains and palm-filled islands. You’ll be able to explore mainly by water and sometimes by land in the company of an enthusiastic expert guide. Boat trips leave from Xigera Camp’s jetty, so no time is lost and you’re soon fully engaged in watching bird and animal life in, on and by the water. 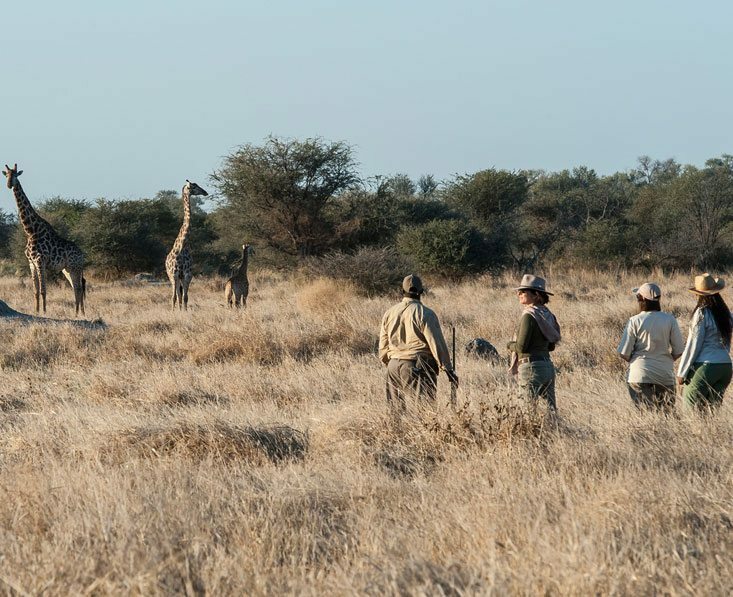 Game drives are usually available in drier times (August to October) and sometimes year round and let you explore different areas of the reserve. There is less big game here due to the amount of deep channels, but it’s a great area for smaller wildlife such as red lechwe, hippos, sitatunga, and of course birdlife. If wildlife comes to the camp you’ll know it, as they have a sandpit at the start of the footbridge which everything has to cross to get onto the island. It makes for an interesting start to the day to see what visited during the night. On the whole Xigera offers a gentle, relaxing Delta safari in a high quality camp. Tents are set well apart, linked to the central area via elevated wooden walkways, screened by shady trees. They are set up high and have polished wooden floors, easy chairs, bedside tables and large beds. Freestanding fans keep the temperature inside cool and windows on both sides admit lots of light and let you view your surroundings. Bathrooms are smartly equipped with twin ceramic basins beneath a large mirror, and a shower. The toilet is in a separate room and you’ll have an additional outdoor shower. A full range of toiletries is provided. Sliding doors at the front of the bedroom open onto the deck where there are a couple of chairs. The thatched central area has a long table dining table for communal meals and there’s a boma for al fresco group meals, although private dinners on the deck can be arranged if you prefer. The lounge is at the opposite end of the central area. You can curl up on one of the large, squashy sofas catching up with some reading and enjoying the views. This area leads out to the firepit and deck. Lanterns add their gentle light to the glow of the fire, and in this tranquil atmosphere you’ll sip sundowners before dinner as you unwind after a busy day and swap stories with other travellers. Xigera Camp closed for a re-build in late 2018 and is scheduled to re-open in 2019, date to be advised. Xigera has traditional walk-in tents, tastefully styled and furnished to provide maximum comfort without detracting from the remote setting.